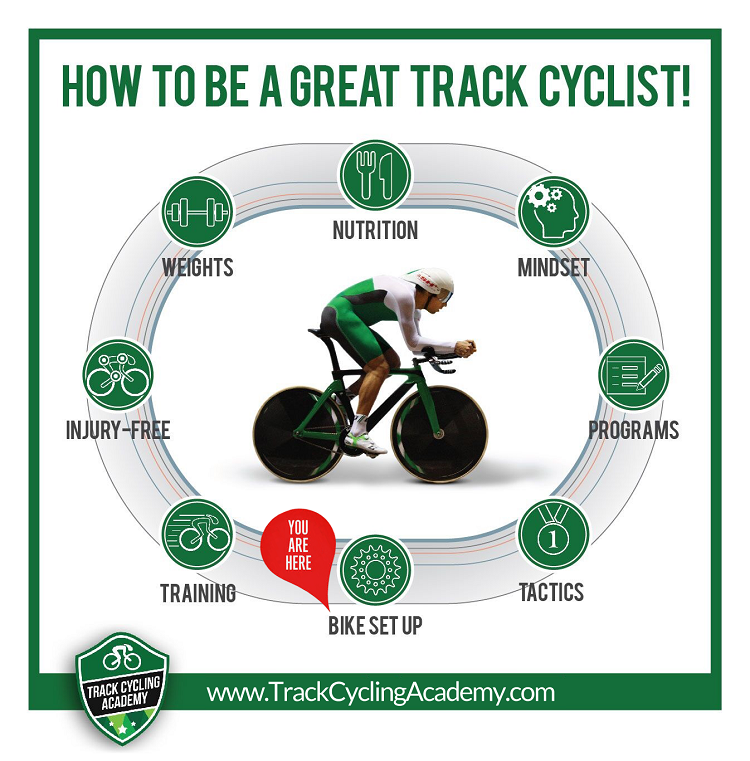 NEW TO TRACK CYCLING ACADEMY? Any world-class cyclist will tell you that becoming one of the best Track Cyclists in the World involves much more than just riding the bike around the Velodrome. …Which is why we have developed a resource to help you access the best tools and training plans but also access advice from leading track cyclists and their support teams! You’ve found us, and we’ve found you! 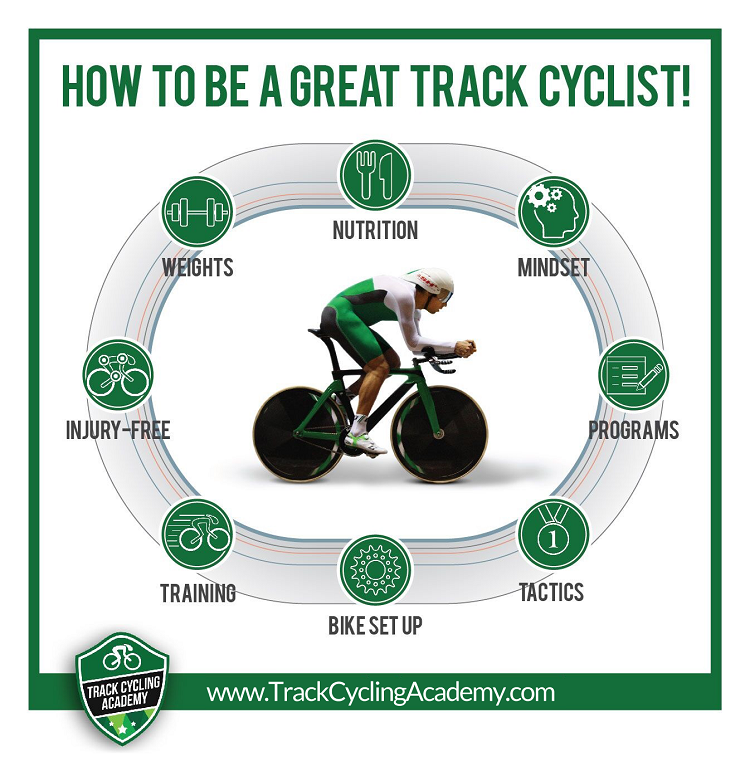 We’re going to help you become the best Track Cyclist you can be and it all starts here! We have recruited passionate staff comprising of International representatives of the highest level in track cycling who are going to offer you opportunities to maximise your performance through specific training plans, tactics, mindset secrets, nutritional advice, strength & conditioning and more. Our team has reached the heights of Olympic, World & Commonwealth success and offer exclusive advice and support to help you become a master of track cycling success! To become your best you have to have the right team around you - which isn’t always easy to acquire. We’ve done the hard work and acquired a gold medal winning team who will support you and ensure you have all the fundamental elements which are mandatory to track cycling success! 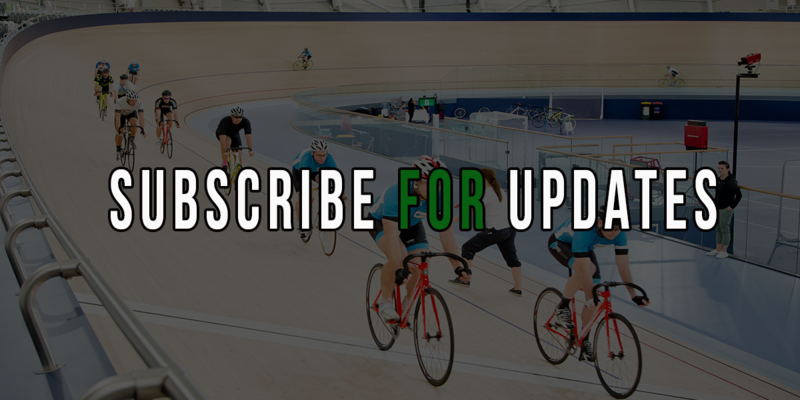 Our team not only offers you advice on everything track cycling, they write your training programs, they teach you tactics, help you set up your bike, help you with your nutrition and planning, make sure you’re injury free, ensure you’re strong & fast and motivate you to help you overcome mental barriers and break through to success! Before you do anything, you need to make sure your bike is set up properly. Setting your bike up correctly is crucial to maximising performance, and injury-prevention. If your bike hasn’t been set up correctly for you, you run the risk of poor efficiency, poor muscle recruitment and poor aerodynamics which will lead to poor performance. Additionally, you run the risk of acquiring knee, hip, back and array of other injuries which can put you out for months, years, and sometimes the rest of your cycling career. Sometimes it can be a very fine line between comfort and performance, and this needs to be taken into consideration when initially setting up your bike. It is also essential that your set up is reassessed on a semi-frequent basis, particularly as you become stronger, more flexible, and more efficient. Read our blog on aerodynmaics and how it can help you ride faster. It’s also important to note that bike set up and injury prevention go hand in hand with Strength & Conditioning. Without good core stability, flexibility and functional strength, you are not only putting yourself at risk of acquiring injuries, you’re also going to be unstable, inefficient which will impact on your ability to ride faster. You can start preparing yourself for better riding skills and tactics by watching our FREE ‘How To Ride Raster’ video. Whether you’re an Individual Pursuit specialist or a Sprint Queen or King, it’s going to take more than you’re pure speed and endurance to cross that finish line in front. Tactics play a huge part in performance and we’ve got the best on board in both disciplines to help you master your ‘cat & mouse’ sprint tactics or time and race a perfect pursuit! Sprinters require an array of tactics which include skills to ride the sprint from the back position and the front position, from slow and high speed stalls and using technical bikes skills to produce a winning race. Endurance riders need fundamental pacing tactics for pursuing events, whilst an array of bunch riding tactics are required to maximise positioning throughout longer distance track riding events. You can start to improve your speed and pedalling efficiency in races, by clicking here and watching our video about How To Ride Faster. To win more races, beat your personal best, and improve in overall track cycling abilities requires you to follow a plan or training program. Why is it then, that so many people experience none or little improvement or even deficits or decreases in performances, and in some cases further periodic injuries or sicknesses? The answer is PERIODISATION - or more accurately in this case, lack of proper periodisation that leads to decline in performances, increase in sickness or injuries. When we talk periodisation in track cycling, we look at breaking your training up into specific phases or cycles in order to manage the volume and intensity. These controlled phases in training spur training adaptations and increases in overall fitness which assist you with achieving peak performances, better overall health, and fewer injuries. Without the correct management of variability in the frequency, intensity and load in your training program, it’s very easy to arrive at a plateau. It is by setting goals and planning periodised training phases or cycles that you’re able to accomplish them. We've written a blog about how your program should look here. Our expert coaches have National Coaching Accreditations and work with State and National level athletes. Our coaches assist athletes in setting performance goals and achieving them in both sprint and endurance track cycling disciplines. The long term effects of a specific tailored training program will see you experience greater training adaptations. You will get stronger, more powerful and faster on the bike. Remember - Getting faster and better as a track cyclist is why you’re training in the first place! Having the right mindset and approach to training and competition is paramount to overall success. What do YOU think about on the start line of a race? Have you reached the optimum arousal level without being too ‘nervous’ or ‘relaxed’? How do you motivate yourself to train on a cold morning? Have you mapped out your mental processes and goals to enable you to breakthrough mental barriers on the bike? Mindset has proven benefits to performance and we are going to give YOU some mental strategies, exercises and guidance which many other world class athletes don’t have access to. Our Olympic Mindset Coach, Georgia Ridler has worked with Anna & Kerrie Meares, the Australian Cycling Team, Australian Swimming Team who have all been mega successful athletes with awesome mindsets which have allowed them to reach the pinnacle of success. Georgia is here to help YOU overcome mental barriers, become more focused, visualise and achieve your best performances, and remain healthy and happy mentally in your overall daily training environment. We've shared one of Georgia's videos here about Don't Compare Yourself to Others. We’re here and ready to help YOU start now. Learn more about Georgia’s ‘Mindset Secrets to Riding Faster’ here. In today’s day and age with the growth of the food industry and in turn the sports nutrition industry, the ‘how tos’ of eating healthy and correctly for sports performance has never been more challenging. Getting the right advice and following nutrition guidelines that are tailored to your nutritional requirements is paramount to track cycling performance. ‘Y’ rider rides a much faster 200m effort because his power to weight (p:w) ratio is better. He could also be using less watts (power) over the course of the 200m and still achieve a faster, or similar time to rider ‘X’. In addition to power to weight ratios, having lower body fat levels and more functional strength development will enable you to become more aerodynamic and efficient in your pedalling technique. As a result you’ll save energy, achieve more advantageous bike positions and make you faster! Attaining optimal power to weight ratios, and lower body fat levels go hand in hand with your training program, mindset guidance and strength & conditioning. Our nutritional experts work within our team to ensure YOU can achieve your nutritional goals and in turn, track cycling goals! Jump on the internet and you can easily become an expert on Strength & Conditioning overnight across thousands and thousand of exercises, all claiming to offer you the right solutions to your strength deficits. We can all agree that the internet is a pretty saturated marketplace with information but how do you know that the information available on the topic, the training exercises and S&C programs are right for you? Our Strength & Conditioning team not only have your functional strength gains in mind, they also work with the remainder of the Track Cycling Academy team to ensure that your S&C works together with your training exercises, programs, injury prevention exercises and nutrition plans. It’s a holistic approach which requires prescriping cycling specific exercises to maximise YOUR strength development which will enhance your cycling development, and in turn - make YOU a faster bike rider. Strength & Conditioning is a fundamental part of becoming a strong, powerful and fast cyclist, it’s also essential to remaining injury-free. Think of this concept for a moment: a person with no muscular development versus a person with muscular development. Strength & Conditioning takes on many forms in both on bike and off bike capacities. If you don’t include Strength & Conditioning in your program, you are more prone to injuries. Because without specific strength development in the muscles that support the major joints in your body, you rely more heavily on your joints and skeletal system which may be weakened due to excessive loading without prior strengthening. Our team of experts have the best advice from the best athletes and Strength & Conditioning coaches in the world who are all here to help YOU maximise your cycling development in both sprint and endurance disciplines. There are three main elements to injury prevention in cyclists which we like to call ‘The Threatening Three’. On bike injuries are common in your major joints which support the levers which drive force through to the pedals and usually come about because of improper bike set up, overuse, muscular tightness, poor stability and functional strength and poor reactive movements. Off bike injuries are the injuries that occur when athletes complete cross-training activities to support their track cycling, for example, strength & conditioning. These injuries usually occur as a result of poor technique, poor strength development and training programs that have an accelerated progression that is too fast for the athlete’s development. Coming off bike injuries is pretty self explanatory, but for those looking for the definition these injuries are as a result of a bike crash whether that be with someone else, something else, or losing control on your own. a. Heal joints, muscles and wounds. b. Strengthen the right muscle groups, as it will better support the joints in our bodies by taking the pressure off the skeletal frame, so you can be more resilient to injuries. Our Injury Prevention expert Mark Stokes is an Olympic Physiotherapist who has worked with the best cyclists in the world. He has the secrets to injury prevention throughout your training program, in the lead up to major competitions and during your major events. We've shared his video on the Top 3 Recovery Methods here. Or you can start preparing yourself to ensure you stay injury-free by visiting our Olympic Physiotherapist’s product on ‘Injury Prevention Secrets to Riding Faster’ here. The single most impactful action you can take right now is to maximise your pedal efficiency and increase your max cadence by learning how To Ride Faster. Riding Faster is the Ultimate start to improving your speed and it is… unfortunately… far too involved to cover here. (Wow… just noticed this article is over 2,000 words). …you can access our FREE How To Ride Faster Instantly video by clicking here. This video is taught by World Champion Kerrie Meares, who will teach you (yep... you guessed it) how to ride faster. Discover the #1 MISTAKE all Track Cyclists make which is not only slowing you down, it’s wearing you out faster and limiting your speed. From Beginners to Intermediate, Juniors to Masters, this simple pedalling technique will have track cyclists riding faster. This video is ABSOLUTELY FREE. Learn more about the How To Ride Faster Instantly video by clicking here.